(1) Material feeding must even and meets the granularities requirement. (2) Pay attention to mineral discharging and transportation to avoid blockage that may cause accidents. (3) Make regular inspection of oil pump, chiller, and filter to see whether they are regularly working. The returned oil temperature shall not exceed 60℃. (4) Regular check the water seal dust proof. If there is no water, the machine will not operate. If water contains oil in it that may mainly due to the blockage of the oil return chute or oil return hole of the spherical surface bearing housing. (5) Regular check the oil pressure of the lock cylinder, the adjusting ring must working properly under the mode of locking. (6) Pay attention to the motor working current to see whether it is normal. (7) Pay attention to the sounds of driving parts and gear parts to hear whether it runs normal or not. (8) Regular check the liner plate wearing situation, especially pay attention to the fixing bolt of the liner plate of the adjusting ring. If it looses, this may cause liner board loosing. The new replaced liner board shall tighten once after working 24 hours. Previous Article：How to replace the Wearing Parts of Sand Making Machine? 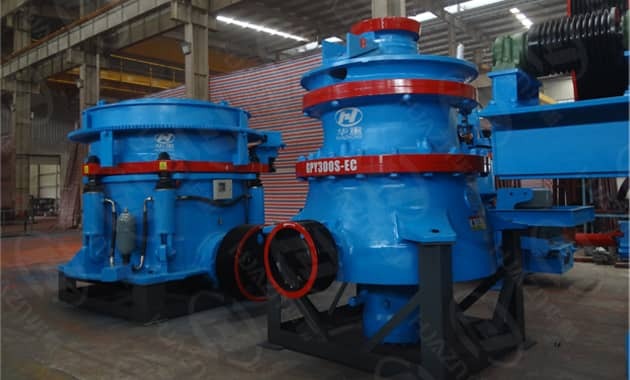 Next Article: How to Prevent the Oil Temperature of Crusher Rising in Summer?